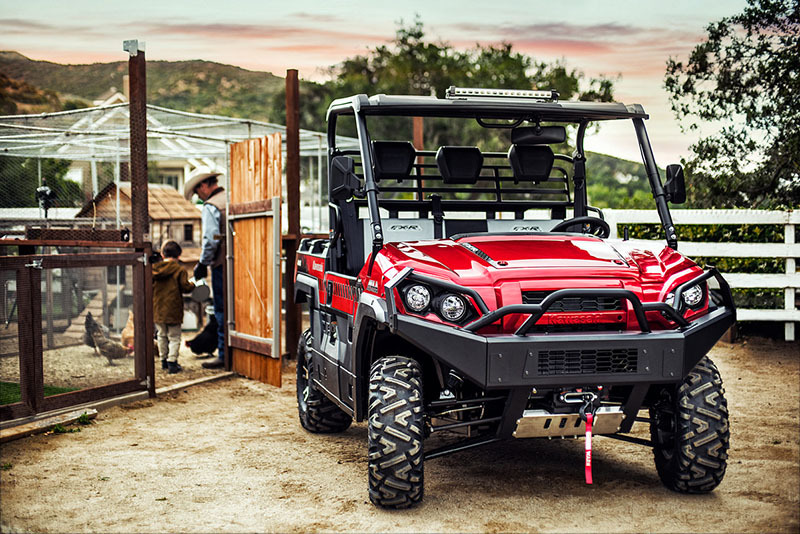 The “play” side of the Kawasaki MULE™ PRO Series just got stronger with the new 2018 MULE PRO-FXR™ side x side. 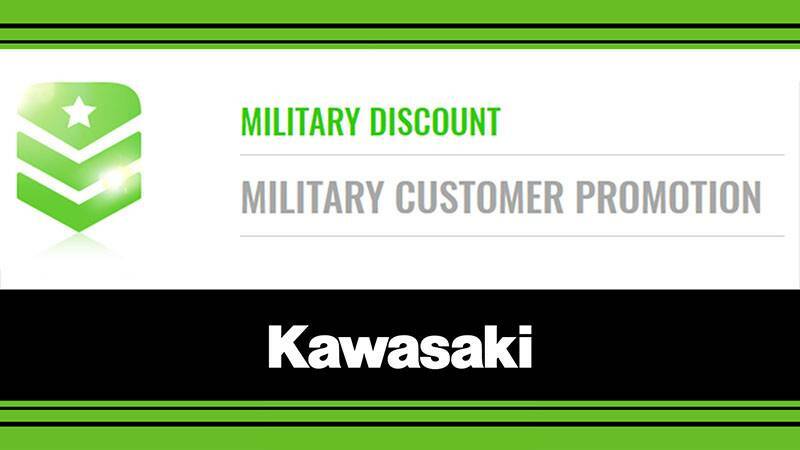 Its compact shape stands out amongst the Kawasaki side x sides with a premium appearance, painted finish and aggressive styling. The new MULE PRO-FXR is a true boss vehicle. 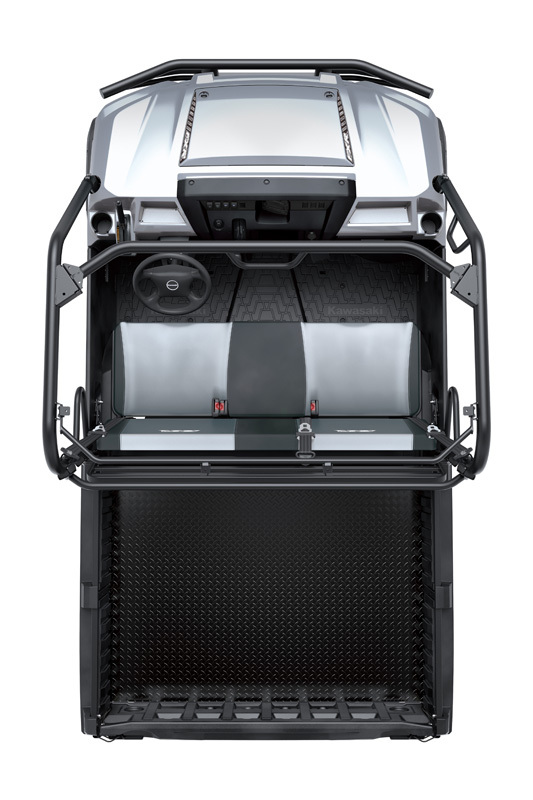 CONVENIENCE WITHOUT COMPROMISE: Integrated full doors with wide opening are simple to operate and make entering/exiting the vehicle easy. 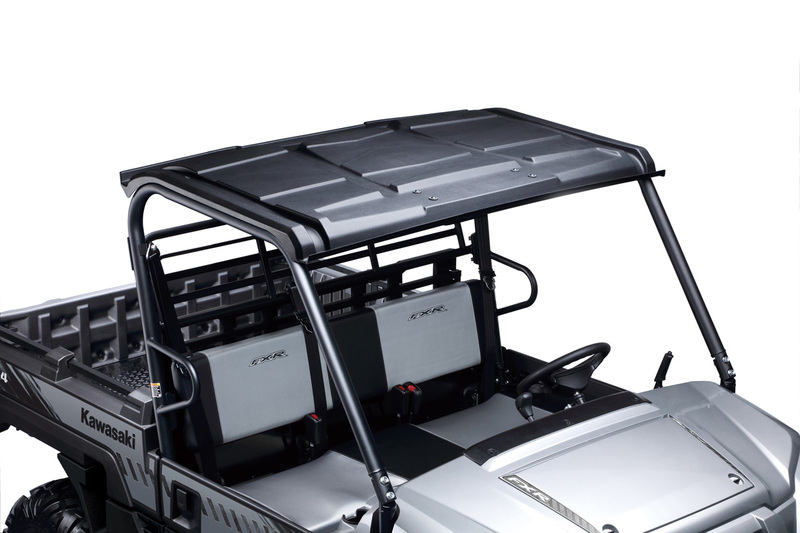 A large 12-gallon storage bin with a waterproof lid under the contoured seat is great for storing gear, tools & supplies. 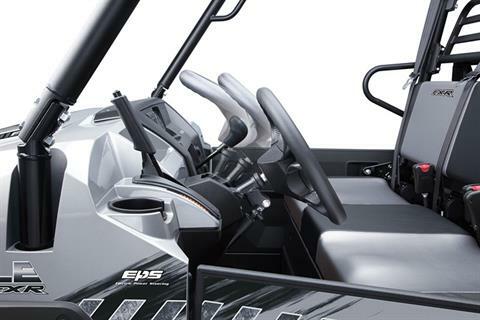 High-output 75-amp generator supports 2 dashboard integrated dc sockets to power accessory items or personal devices. 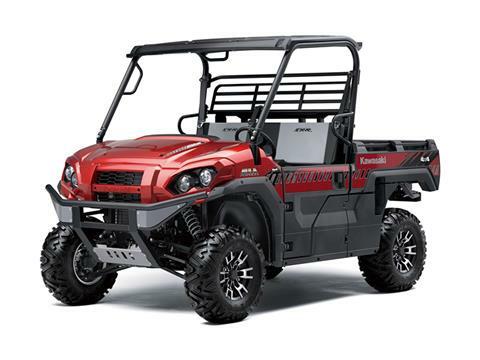 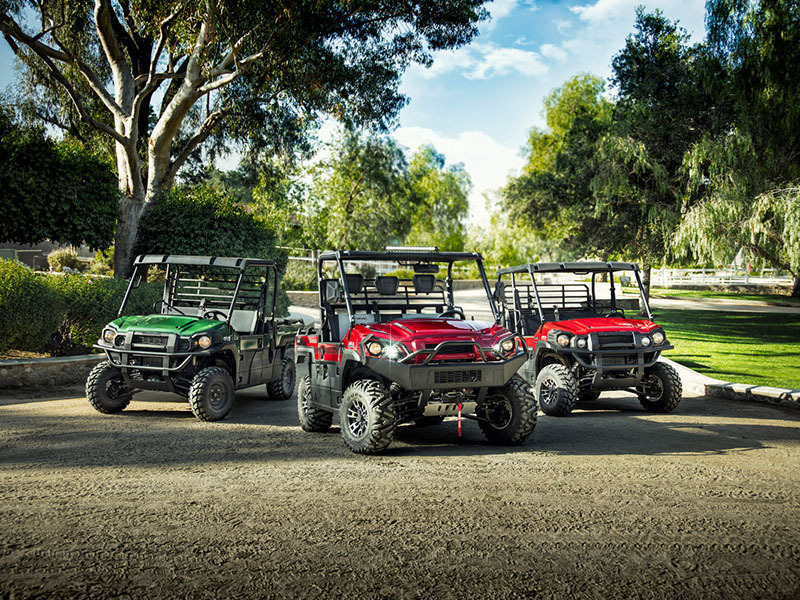 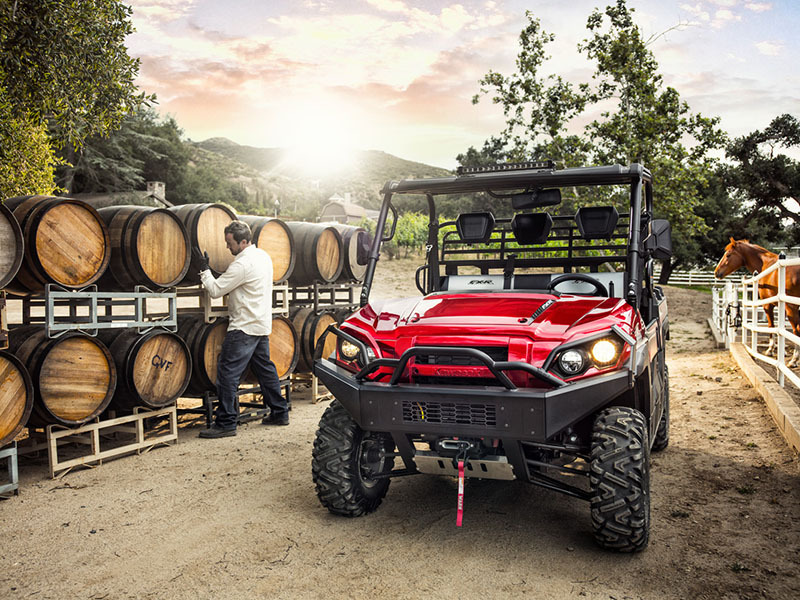 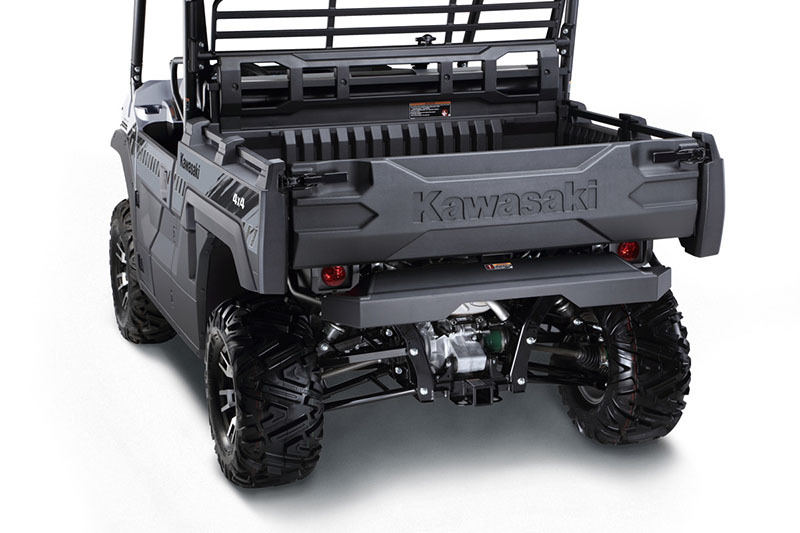 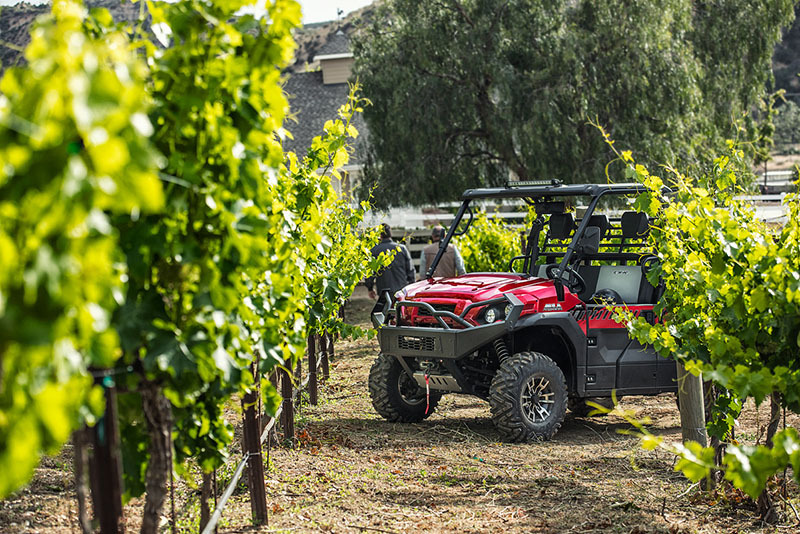 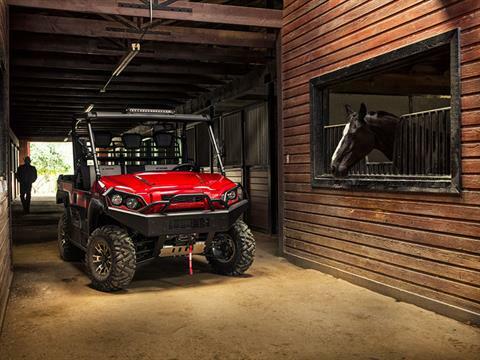 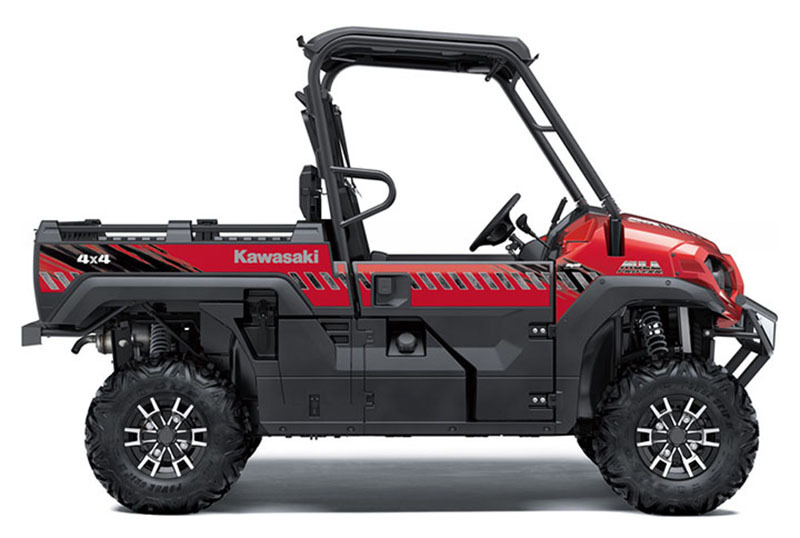 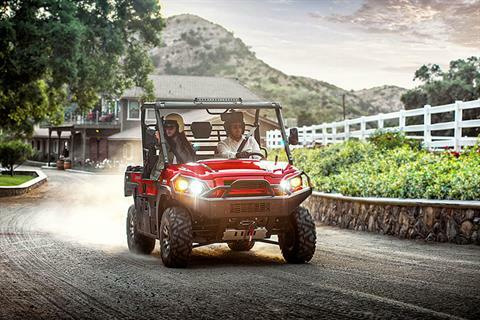 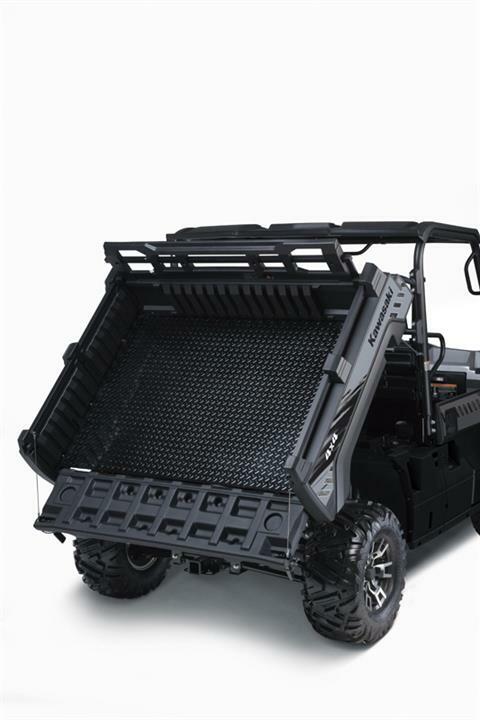 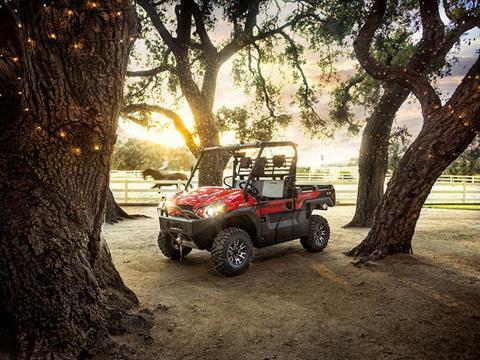 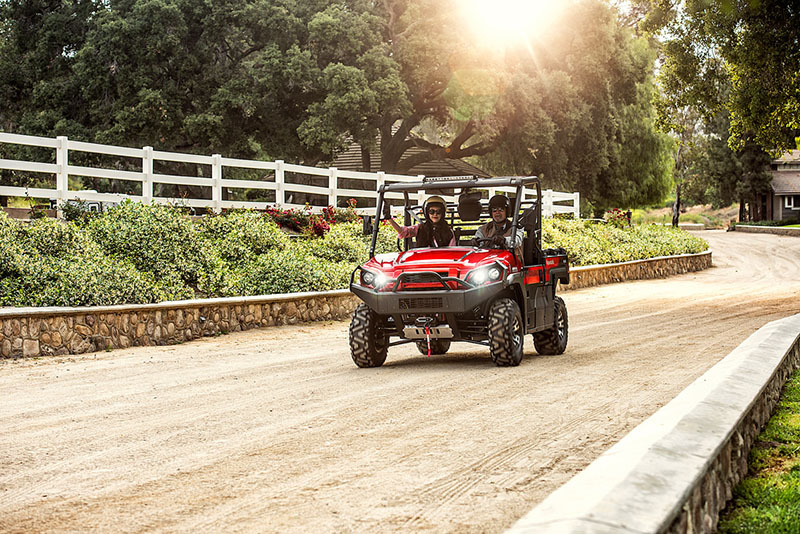 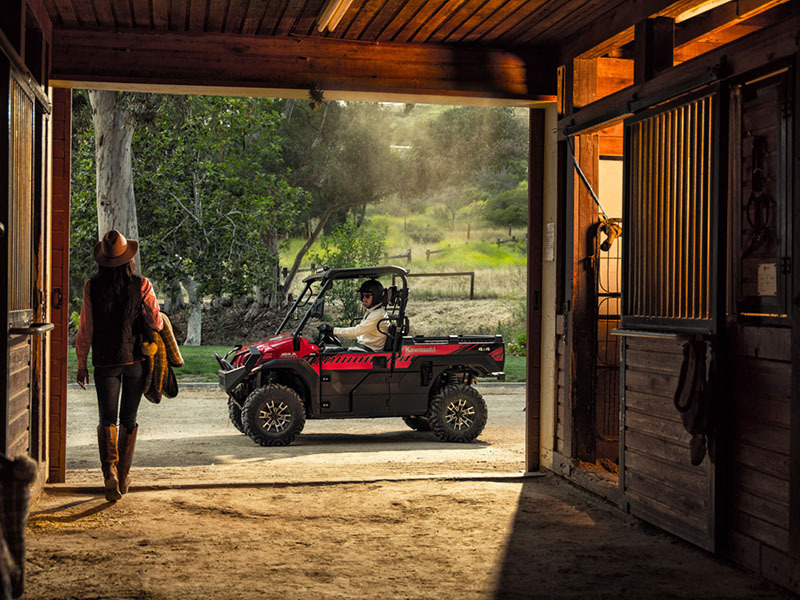 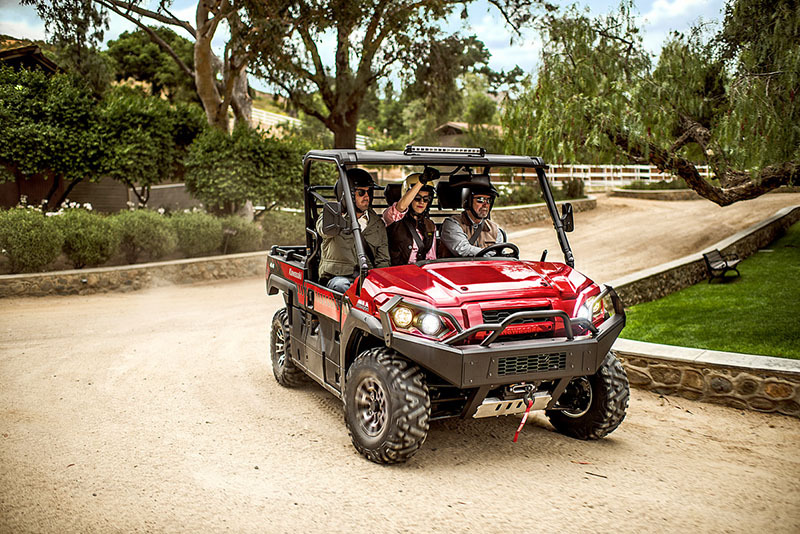 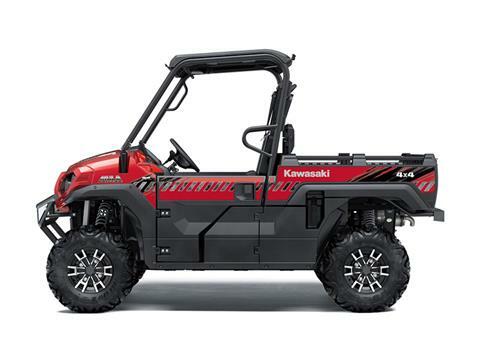 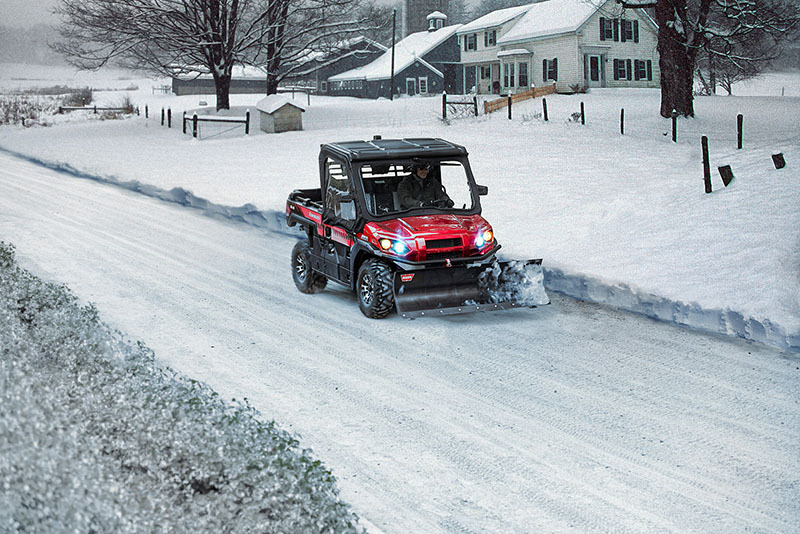 THE POWER OF DURABILITY: Built to work hard on and off the job, the Kawasaki MULE PRO-FXR™ side x side takes strength, dependability and durability to a whole new level. 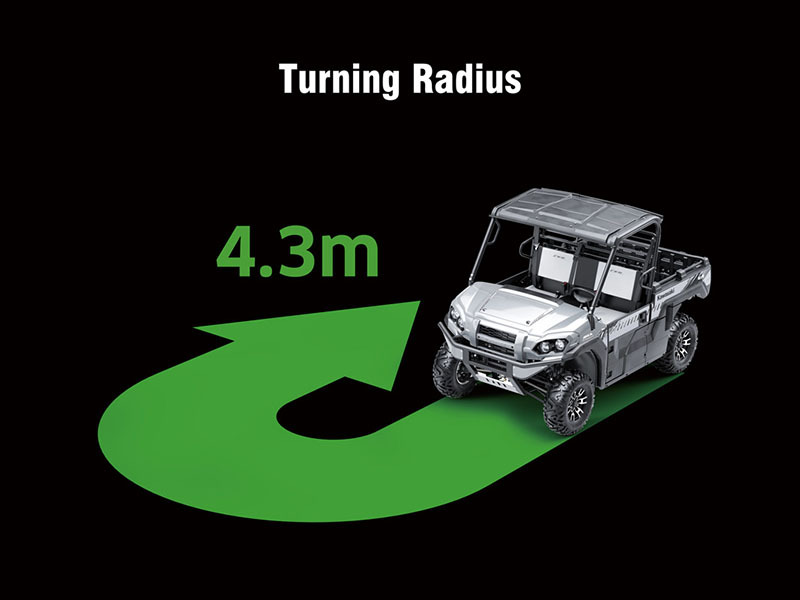 Continuously variable transmission (cvt) with quick belt engagement increased belt life and smooth acceleration.Welded 1-piece main frame for maximum strength and durability. 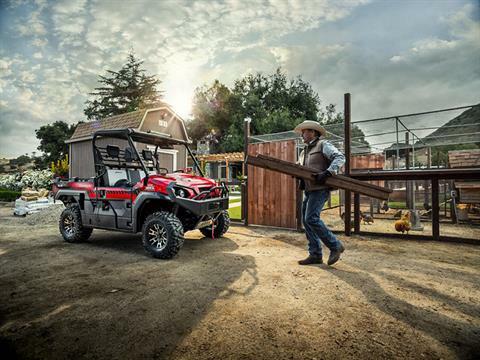 Hauls up to 1,000 lb. 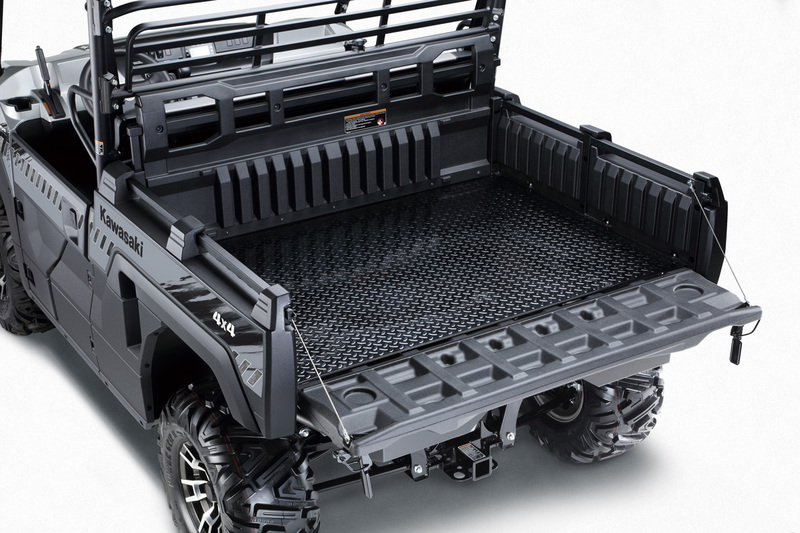 * atop a strong steel cargo bed floor. 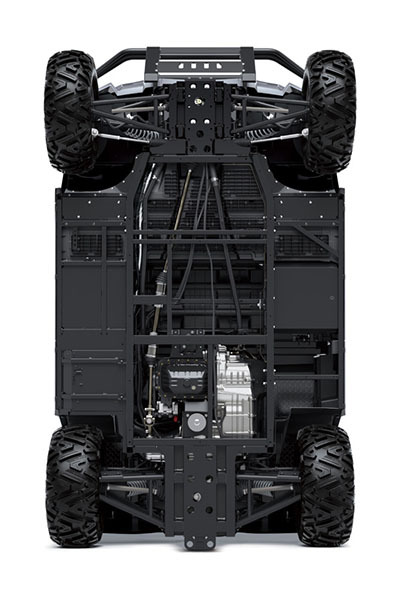 Tows up to a massive 2,000 lb. 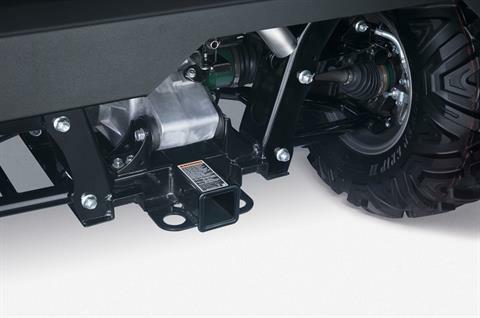 using a strong, integrated 2-inch hitch receiver.